Abstract, heart-felt, expressionist oil painting using palette knife and JacksonPolick and Joaun Miro techniques on canvas. I am a Henna Artist of Indian descent where Henna is part of our culture. 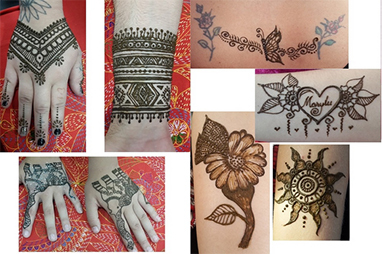 I am a versatile henna artist and enjoy doing intricate traditional, modern and fusion designs. I enjoy doing intricate bridal and other celebratory designs as well as simple ones. Henna is extracted from the leaf of a plant by drying and grinding. It is a temporary body art which can be applied with a tube or cone like icing on a cake. Original acrylic paints on canvas applied with pouring techniques, underpainting, and using palette knife or brushes to create textured impressionist art. 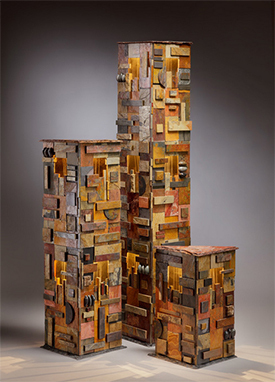 I use circuit boards, collage, paint, found objects on wood panels with hand made wooden frames.